Do you - or someone you know - sound like this while "sleeping"?? 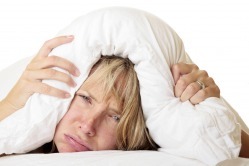 If you snore, and particularly if you've been told by your bed partner that you stop breathing, or apparently "choke" at night, then you may be among the estimated 20% of the adult US population that suffer from some degree of Obstructive Sleep Apnea (OSA). An Apnea is a cessation of breathing for at least 10 seconds, typically caused by your airway become Obstructed by the tissues in your airway collapsing. OSA can be a serious and life threatening condition with significant health consequences including chronic fatigue, excessive daytime sleepiness, high blood pressure, headaches, increased risk of Heart Attack or Stroke and ED. Treatment is readily available through several specialities, including Otolaryngologists (Ear, Nose & Throat (ENT)), physicians that specialize in issues of the airway and OSA. Treatments for OSA are readily available and range from CPAP (Continuous Positive Airway Pressure), lifestyle changes, Oral Appliances and numerous surgical procedures including Minimally Invasive office procedures to hospital-based surgical procedures. You should consult your ENT physician specializing in OSA treatments to determine which of the treatment options is right for you. The first step in getting help is to get diagnosed to confirm the existence and severity of your OSA, which is commonly referred to as a Sleep Study. The physician you consult for your OSA needs to Prescribe this service for you. 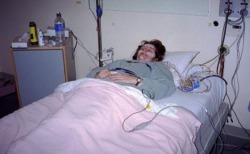 Depending upon your symptoms and the results of their examination, most insurance companies prefer you to participate in a Home Sleep Study, with the Watch-PAT being the most convenient, unobtrusive and accurate system available, or alternatively be scheduled for a Sleep Study at a lab in a hospital or Free Standing Sleep Lab facility. See our list of Prescribing Physicians on the Find A Physician Webpage to find one in your area or refer your ENT or Family Physician to our website to enable you to participate in this more affordable, convenient and representative service. The short instructional video above presents the details on the self-administered Watch-PAT Sleep Study system. While a standard Polysomnography (In-Lab Attended Sleep Study) requires numerous electrode leads (12 or more) and sleeping in a foreign environment under continuous video monitoring (see photo) the Watch-PAT involves three simple sensors monitoring 7 channels of information. The totally portable, battery-operated, wrist-watch design leaves you free to sleep in your normal sleeping position, in your own bed with the least obtrusive system available to enable you to have as normal a night's sleep as possible, thus providing the most realistic depiction of your actual sleep as possible. CPAP is typically the first line treatment for OSA and it is important to identify a DME (Durable Medical Equipment) provider that specializes in helping OSA patients get properly fitted and supported for the initiation of this therapy. 1st Line Medical is also pleased to provide ENT and other specialty physicians with the ability to provide a more affordable, readily accessible, Custom Fitted Oral Appliance solution called the SomnoGuard, FDA cleared for the treatment of OSA & snoring that may be appropriate for many patients.